Margaret Landvogt, former Head of Art at Presbyterian Ladies College, lived in Mt Waverley for over 50 years and also taught at Ashwood Secondary College. She grew up in the inspiring scenery of Cornwall in England, surrounded by wildflowers, lush countryside and the sea. After attending the Plymouth School of Art she emigrated with her parents and subsequently enrolled in the Victorian Secondary Art and Craft Teachers course where she met her future husband John. When Margaret wed John in 1953, married women had to resign from teaching posts although this regulation was changed in 1956. With little time for her own art except for occasional sketching along the Murray River near their Yarrawonga home, Margaret’s creativity was channelled into encouraging their three young children. The family’s move to Mt Waverley in 1964 provided new employment and study opportunities. Margaret says of returning to art teaching in the late 1960s: “It was a joy to encourage every student’s unique expression”. This, along with completing her Diploma in Painting and Drawing in the 1970s, gave a new impetus to her art and by the mid-1980s she finally made the decision to become a full-time artist. A concern for the environment has been a driving force in Margaret’s subject matter, which has ranged from immense skyscapes to intricate desert landscapes, from abstractions of subterranean strata to the symbolic images of trees; but the heart has always been nature. A concern for the environment is also evident in daughter Kathy’s landscapes, still life studies or life drawings. 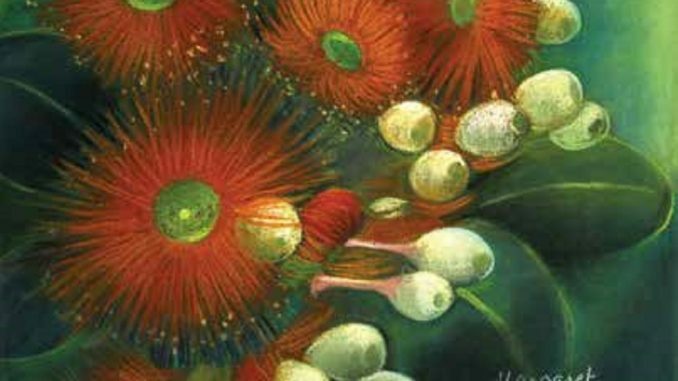 As well as being exhibited in Melbourne commercial galleries, Margaret has had over 10 exhibitions at The Highway Gallery. Many of these were shared with her late husband, photographer John Landvogt, who held positions on the committee of the Waverley City Gallery (now The Highway Gallery) and the Monash Gallery of Art. Daughter Kathy Landvogt is sharing the gallery walls with her mother for the current exhibition. Margaret, now in her mid-80s, lives in a retirement village in McKinnon. 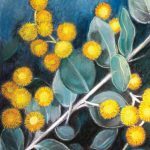 The ‘Essence and Inflorescence’ art exhibition in Margaret’s chosen medium of pastel, is at The Highway Gallery, 14 The Highway, Mt Waverley, from Thursday 31 August to Sunday 10 September (Gallery Hours: Wednesdays to Sundays 12–4pm).